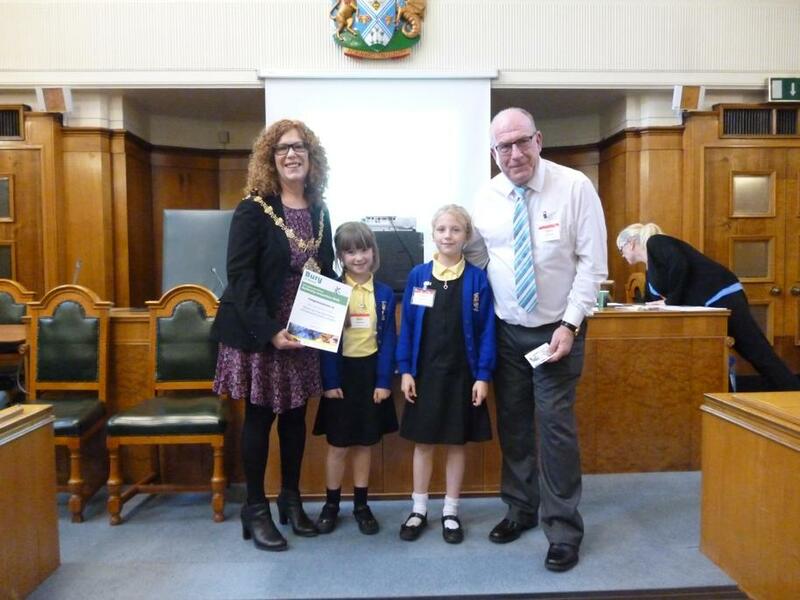 We were delighted to attend the Mayor's Chambers this week with Iyla and Lacie-Mae to receive an award on behalf of the school for our wonderful KS1 collaborative gardening project. 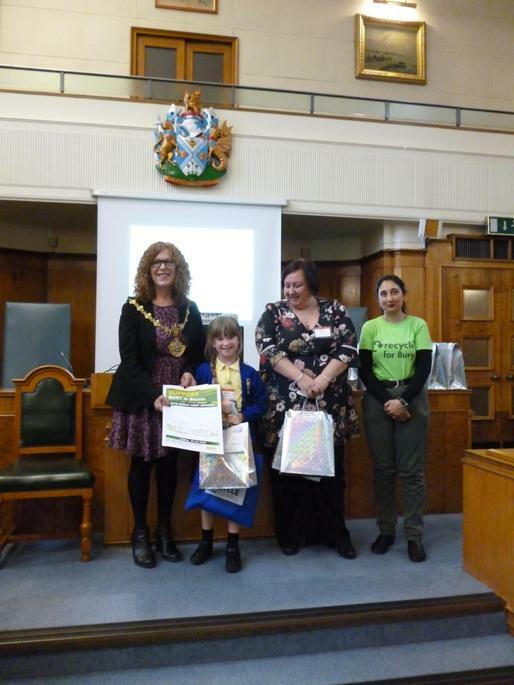 Iyla and Lacie-Mae also won prizes for their fabulous poster entries and won a goodie bag presented by the Mayor of Bury! Well done girls. 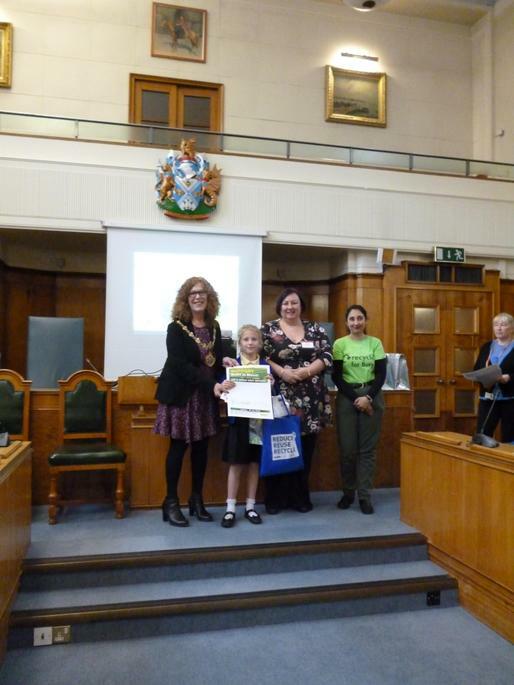 Following the awards, there was tea and cakes with the Mayor which was a lovely treat. We hope to enter the competition next year as we are looking to transform another outdoor space.